One of the common pieces of medical advice is to listen to your body. This can be true for your food cravings. 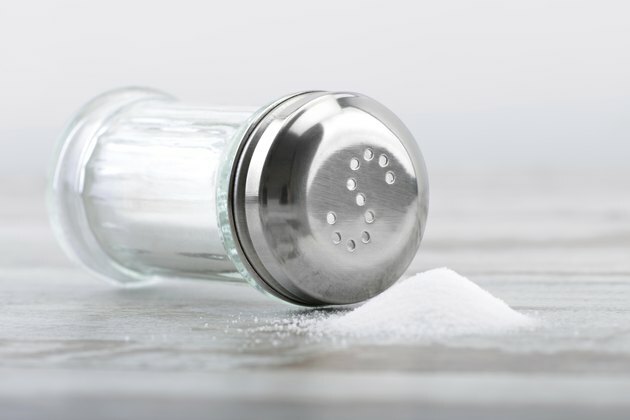 While sometimes you crave salt because you are accustomed to eating a high amount of the mineral, in other instances you may crave salt because you have a potassium deficiency. Because your body needs potassium to maintain heart, nerve and muscle functions, understanding when your salt cravings could indicate a lack of potassium can help ensure that you feed your body what it needs. Sodium and potassium are the two major electrolytes in your body, meaning they can conduct electrical energy in your body. Potassium is the most common electrolyte inside your cells and sodium is the most common electrolyte outside your cells. You lose these electrolytes when you sweat and lose fluids to diarrhea or vomiting. If you are taking medications such as diuretics you also can lose fluids, and with them potassium and salt. Aldosterone is one of the chief hormones responsible for regulating the amount of sodium and potassium in your body. Your adrenal glands, which are located above your kidneys, are responsible for releasing this hormone into your bloodstream. One of the chief triggers for aldosterone is stress. Chronic stress can release excess amounts of aldosterone, which can result in low potassium and sodium levels that trigger salt cravings. In addition to sodium cravings, signs of potassium depletion can include those associated with heat exhaustion, such as feelings of extreme fatigue, weakness, headaches and abdominal cramping. If you are extremely deficient in potassium or sodium, you may experience even more serious symptoms, such as nausea, dizziness, vomiting and fainting. Potassium depletion that results in this level of symptoms requires immediate medical attention. If you are experiencing salt cravings and other symptoms associated with potassium deficiency, increase your intake of potassium-containing foods, including bananas, orange juice, avocados, cantaloupes, tomatoes, lima beans and potatoes. Foods such as flounder, salmon, cod and chicken also are good potassium sources, but are relatively low in sodium. Excess sodium intake is associated with health risks, such as high blood pressure. If your cravings subside after eating a potassium-containing food, you can keep excess sodium out of your diet.